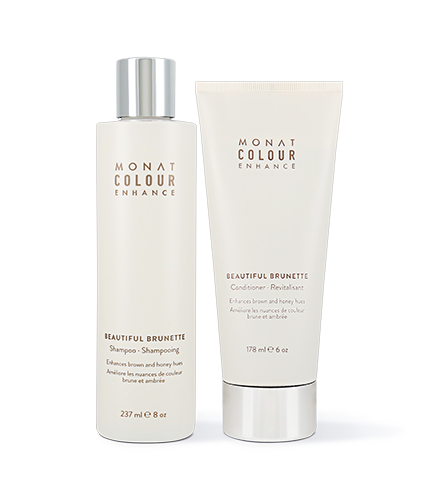 To learn more about Colour Enhance Beautiful Brunette Conditioner, please contact your MONAT Market Partner. For brunettes and those with medium-to-dark shades of hair. Optimizes the brilliance, shine and luminosity of warm highlights and enriching brown hues. Pampers hair and scalp with moisturizing and soothing botanicals. Deeply conditions for improved healthy-looking tresses without weighing hair down. Imparts body, bounce and shine as it improves hair’s manageability. Helps protect against UV fade and damage. 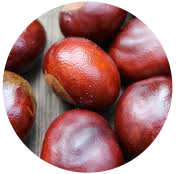 Suitable for naturally brown, highlighted, color-treated and bleached hair. Does not compromise hair colour. 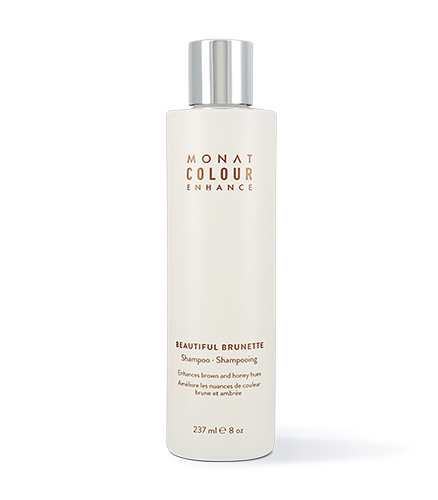 Shampoo with MONAT Beautiful Brunette Shampoo, rinse. 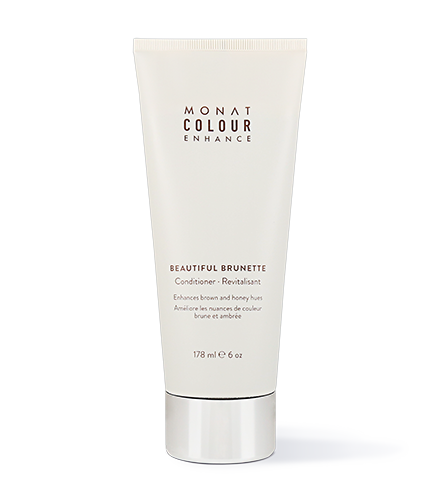 Apply MONAT Beautiful Brunette Conditioner, work it through to the ends of the hair. Phyto pigments derived from Indian Walnut Leaf Extract, exotic woods and roots and Horse Chestnut Seed Extract - to enhance brown highlights and boost color vibrancy.